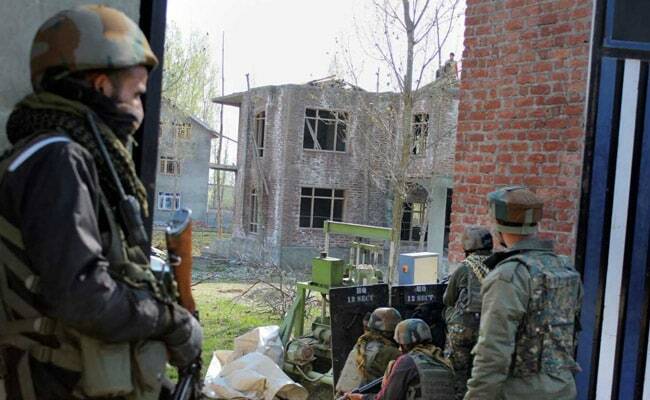 Rauf Khanday, believed to be a Hizbul Mujahideen terrorist, was killed in the pre-dawn darkness of Sunday at Dialgam village in south Kashmir's Anantnag district. Dialgam, Jammu and Kashmir: "I tried everything possible to make him surrender. 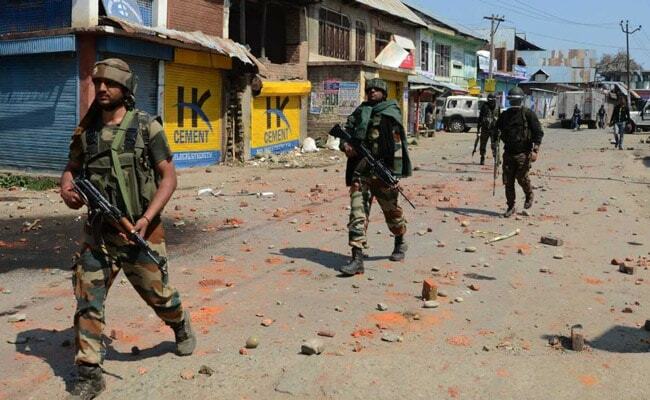 But every effort of mine was stonewalled by the young boy, who had been brainwashed," Senior Superintendent of Police, Anantnag, Altaf Ahmed Khan said. It was a six-hour denouement that ended in a hail of bullets -- and a young man, barely out of his teens, dead inside a house surrounded by security personnel while his parents who had tried to talk him into surrendering waited nearby for news of the inevitable. Rauf Khanday, believed to be a Hizbul Mujahideen terrorist, was killed in the pre-dawn darkness of Sunday at Dialgam village in south Kashmir's Anantnag district. But he was not just another statistic, said officials present at the spot as the hours dragged on and he showed no signs of surrendering. "It is always a tough call. I was pretty sure that the parents will be able to convince Khanday and he will come out and surrender. But destiny willed it otherwise," Mr Khan said. Khanday, who had just passed his first year of graduation, was one of the two men holed up in a house in the village. The standoff started around 11 pm on Saturday when the police wireless buzzed. It was an intercept about the presence of two terrorists inside a house. After ascertaining the identity of the terrorists, the house was cordoned off by security personnel and they were asked to surrender, said an official. One of the terrorists, whose identity has not been disclosed, did so immediately leaving young Khanday inside, cut off from the rest of the world. Piecing together Khanday's last hours, officials recounted that a phone was passed on to Khanday so a conversation could begin. Then followed the hours of trying to talk to him, reason with him and even bringing in his parents so they could convince him to surrender. Asked what had transpired, Mr Khan, who has earlier headed districts like Shopian and Sopore, said he spoke to Khanday to understand his mental frame of mind and found he had interpreted various religious books wrongly. "I narrated verses from Holy Quran and advised him that whatever he was doing was against the teachings of Islam. The conversation continued for over 30 minutes during which Khanday got agitated and abusive. But I ignored it because my intention was to save him from getting killed," Mr Khan recalled. Listening to the entire conversation were the commanders outside, their eyes fixed on the house where Khanday was hiding, said an official. Around 1 am on Sunday, Khanday said he wanted to speak to his mother for which permission was granted. "I sent a police team to his native place seven kilometres away. Security personnel escorted his father Bashid Ahmed Khandey and mother to the site so that they could persuade him to come out and surrender," said Mr Khan. "We were so desperate to save his life that we all agreed to his mother's request to take him home if he surrenders," he added. Both parents went inside to speak to their son, raising hopes that there might not be any bloodshed. They came out after half-an-hour, despair writ large on their face. "I missed a heartbeat. A chill ran down my spine as we had to perform our final job now and fight him out," Mr Khan said. A commander present at the encounter site apologised to the parents, who knew the fate awaiting their son. "I sent the parents to my place as they were quite nervous, especially the mother... I refused to give up," Mr Khan said. It was past 3 am now and Mr Khan made yet another bid to engage with Khanday. He asked a small team to see if there could be a back door entry into the house so security personnel could overpower him. Mr Khan said Khanday fired at him when told that he was entering the house unarmed and would only engage in talks with him. Following this, security personnel began the final onslaught, killing Khanday. "I tried my best but all efforts failed," Mr Khan said. Director General of Police SP Vaid made a special mention about Mr Khan's efforts to save Khanday during a press conference on the three counter-insurgency operations in the valley that left 13 terrorists, three Army jawans and four civilians dead yesterday.